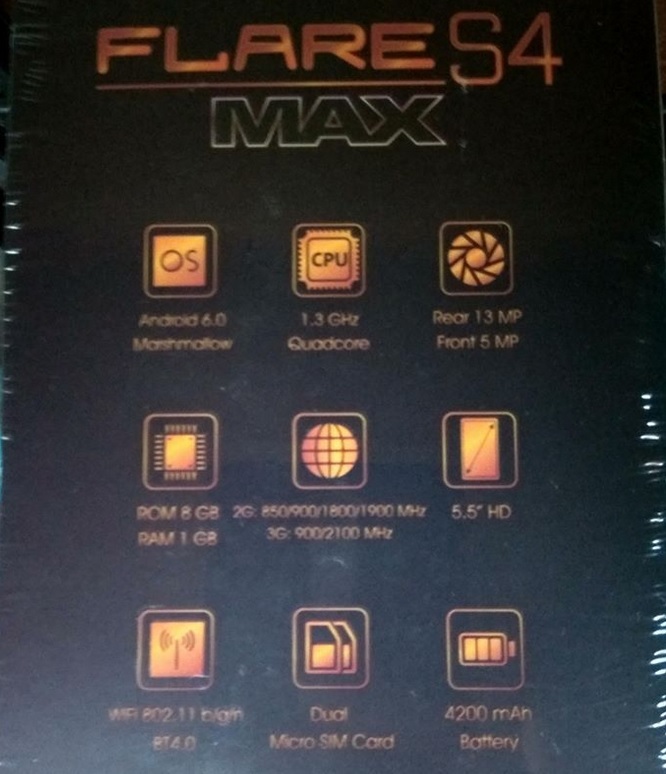 Cherry Angle, one of the well-known dealer of Cherry Mobile has posted on their Facebook page another addition to the ever-growing smartphone line-up of the popular local brand, meet the Cherry Mobile Flare S4 Max. 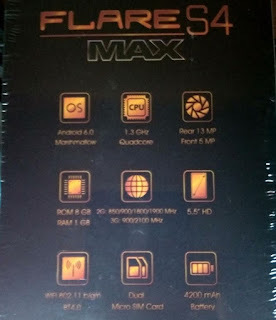 The Cherry Mobile Flare S4 Max sports a 5.5-inch HD display powered by 1.3GHz quad core Mediatek processor coupled with 1GB of RAM and 8GB of expandable storage. It also comes with 13MP main camera with LED flash, a 5MP front shooter for taking selfies and runs on Android 6.0 Marshmallow. The specifications look normal, but it packs a huge 4,200mAh battery, which in paper will give users extended hours of uptime for longer entertainment and phone usage, thus, the title "Max" on its name. Other specs include dual micro SIM with 3G connectivity, Bluetooth 4.0 and WiFi 802.11 b/g/n. It will retail for Php3,599, making it one of the most affordable device to have a big battery capacity.